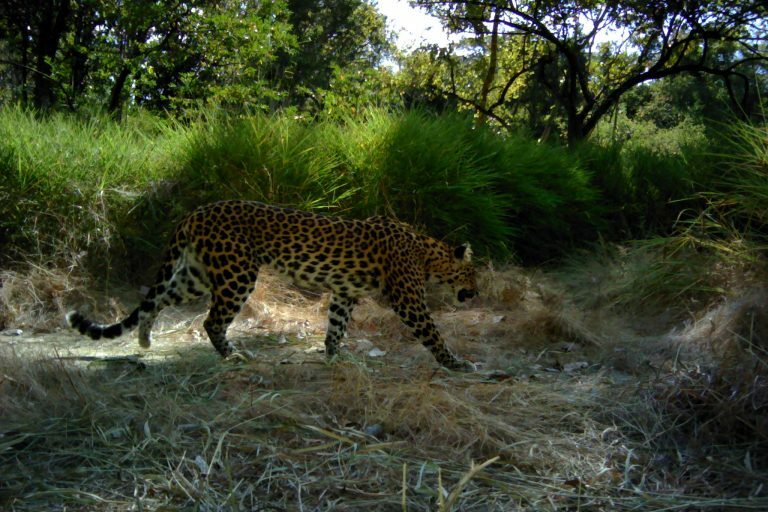 In just five years, the population density of Indochinese leopards within a protected area in eastern Cambodia has fallen from about 3 leopards per 100 square kilometers in 2009 to 1 leopard per 100 square kilometers in 2014, a new study has found. This is one of the lowest densities of leopards reported in Asia, researchers say. This statistic is worrying because the eastern Cambodian population is the last remaining breeding leopard population within a huge region spanning southeastern China, Laos, Cambodia and Vietnam. Eastern Cambodia’s leopards are also part of the only leopard population in the world to prey predominantly on an animal weighing more than 500 kilograms — the banteng. The only breeding population of this leopard subspecies in Cambodia is believed to occur within a large protected area complex in a part of the country called the Eastern Plains Landscape (EPL). But in just five years, leopard density within one protected area in the EPL has fallen from about three leopards per 100 square kilometers (39 square miles) in 2009 to one leopard per 100 square kilometers in 2014, a team of scientists found. This is one of the lowest densities of leopards reported in Asia, researchers write in the recent study published in the Royal Society Open Science journal. 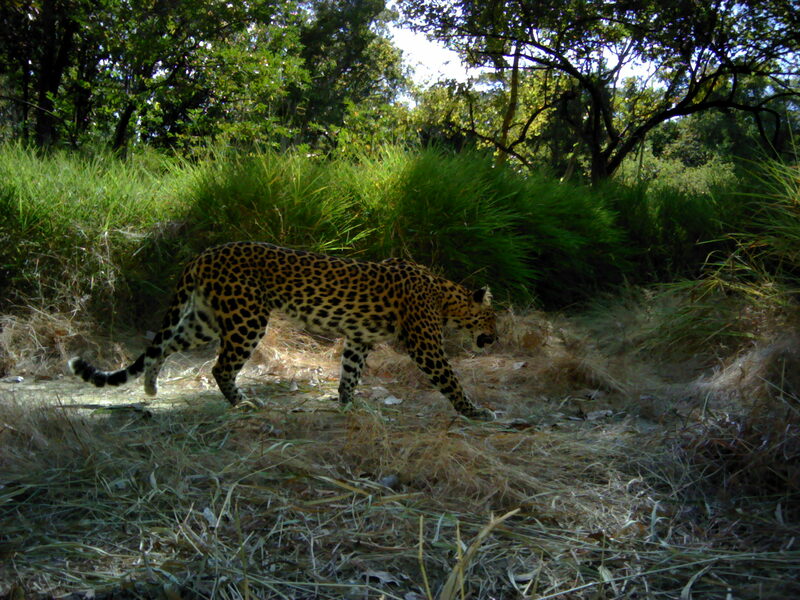 “The low density means that this population of Indochinese leopard has a high risk of extirpation in the near future, unless effective conservation action is taken immediately,” said lead author Susana Rostro-García, a postdoctoral researcher at the Wildlife Conservation Research Unit (WildCRU) at the University of Oxford, U.K. This decline is especially worrying because the Indochinese leopard has already been wiped out from 94 percent of its former range. 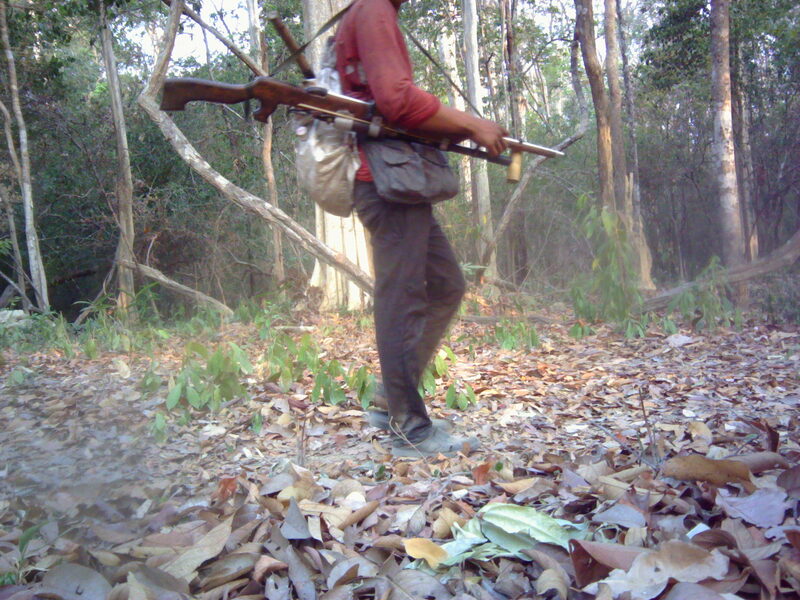 An Indochinese leopard passes a camera trap in the study site. Camera trap image courtesy of Panthera/WildCRU/WWF Cambodia/FA. The loss of Cambodia’s Indochinese leopards would deprive the world of a unique member of the leopard family. 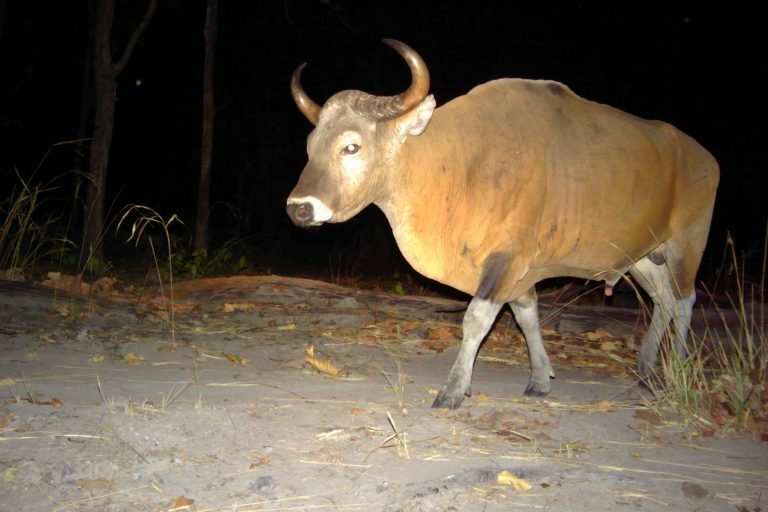 When the team analyzed leopard droppings collected from the study area, they found that the male leopard’s main prey was the massive, 500-kilogram-plus (1,100-pound-plus) rare wild cattle species called the banteng (Bos javanicus). This finding was unexpected, the researchers say. Although previous research has recorded instances of African leopards preying on large-sized prey like giraffe or eland, these animals comprise a very small proportion of the leopard’s diet, the authors write. Instead, leopards, which typically weigh less than 90 kilograms (198 pounds) prefer to prey on smaller animals weighing about 10 to 40 kilograms (22 to 88 pounds). 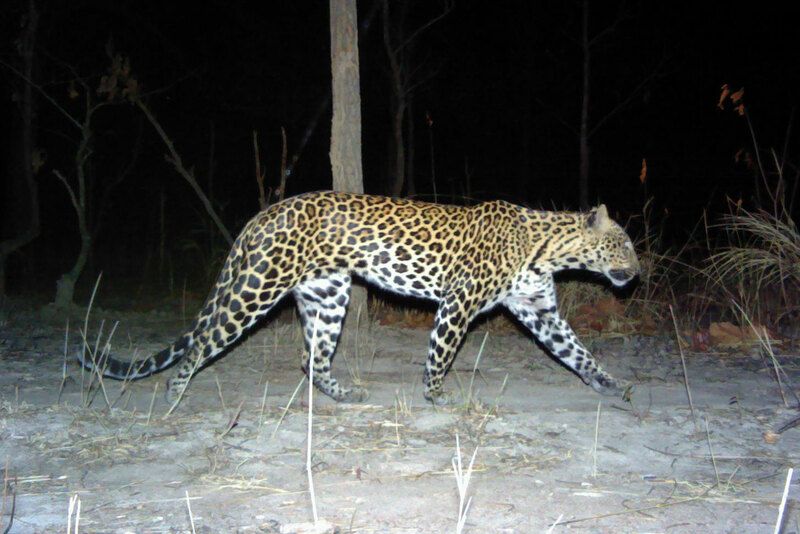 By contrast, male Indochinese leopards in the eastern Cambodian study site appear to prey predominantly on an animal more than five times its mass, making this the only known leopard population in the world to do so. The leopards there could be targeting banteng because the large herbivore represents about 70 percent of the available ungulate biomass within the study site, Rostro-García said. Moreover, tigers, whose main prey was the banteng, went locally extinct in the landscape a decade ago, allowing leopards to take over as the apex predator. 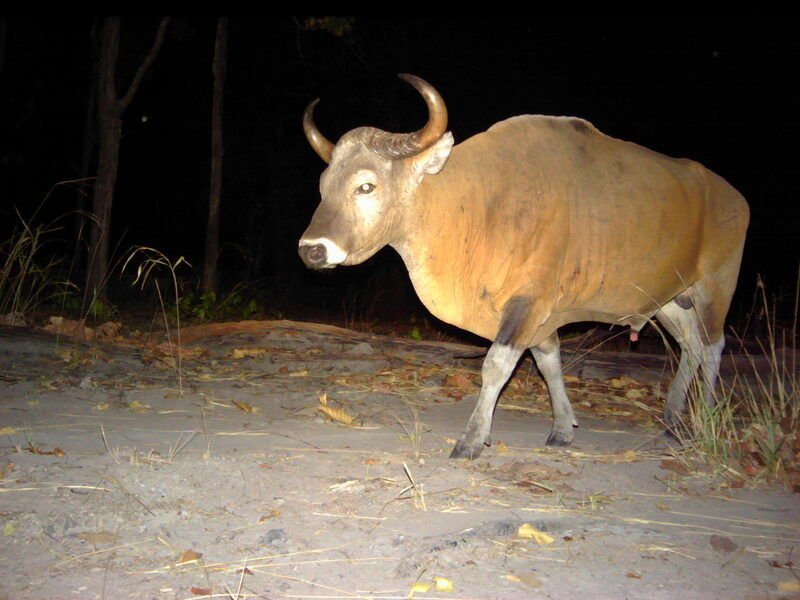 The Indochinese leopard’s main prey in the study area was banteng, a rare species of wild cattle. Camera trap image courtesy of Panthera/WildCRU/WWF Cambodia/FA. But only the male leopards seem to be consuming banteng, the team found. The female leopards preferred muntjac (genus Muntiacus), a small deer. This difference is likely because male leopards can grow up to 50 percent larger than females, the researchers say, suggesting that the banteng might be “too large and dangerous” for female leopards to prey upon, but not for the larger male leopards. Despite the availability of prey of all sizes, Cambodia’s leopards are on the verge of extinction. And poaching is to blame, the researchers say. Poachers pass by a camera trap. Camera trap image courtesy of Panthera/WildCRU/WWF Cambodia/FA. 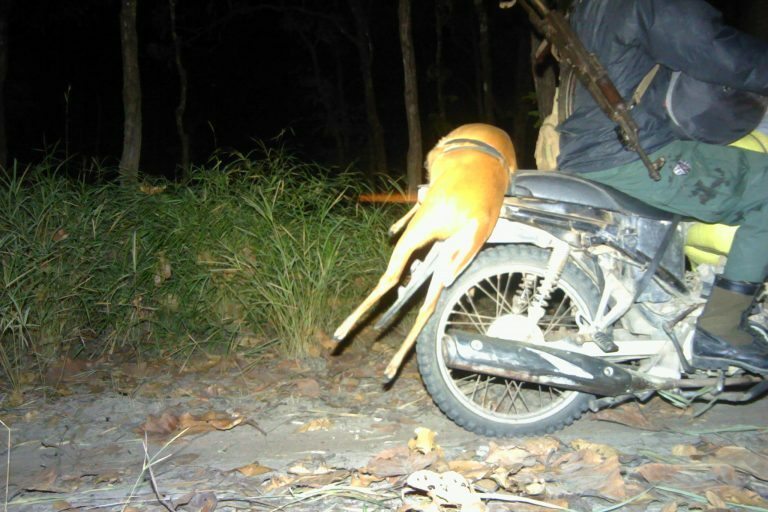 In fact, a study published last year reported that Southeast Asia was in the middle of a “snaring crisis.” Between 2010 and 2015, patrol teams removed more than 118,000 snares from just three protected areas in Cambodia, the researchers found. 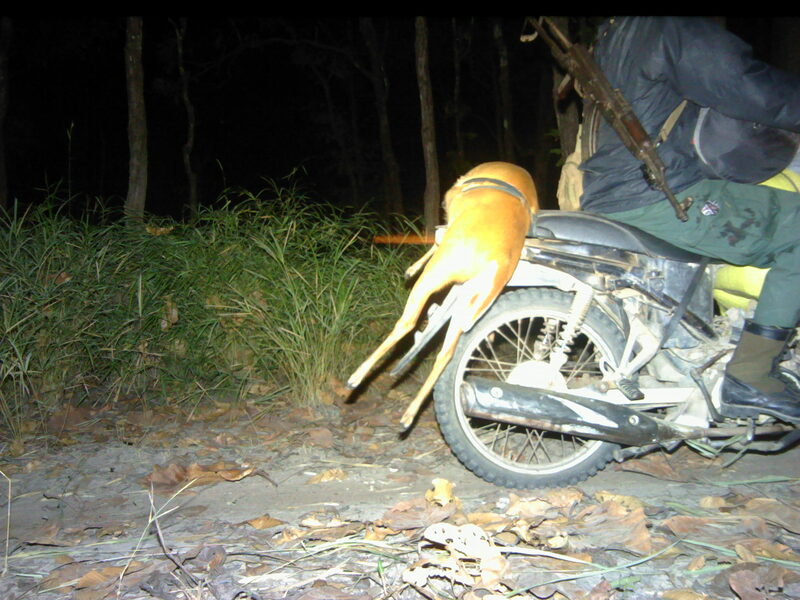 Hunters use these snares to meet the rising demands for bushmeat in Southeast Asia. However, snares kill indiscriminately, trapping not just smaller rodents and mammals, but also larger leopards and baby elephants. 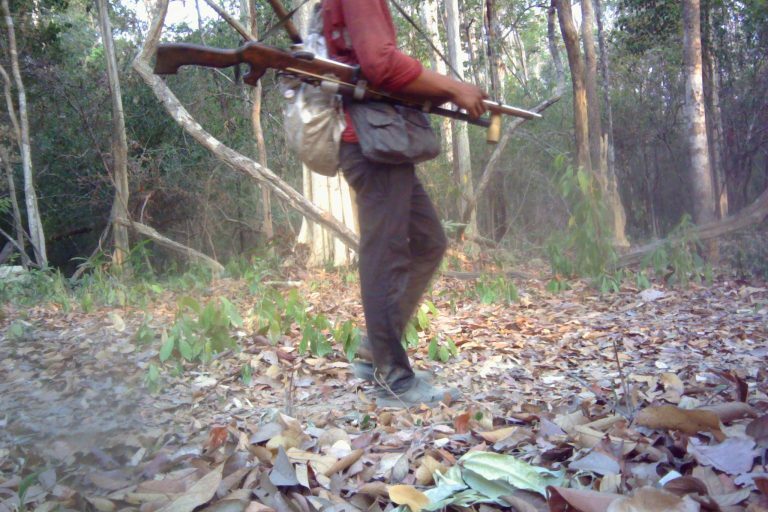 To protect the last remaining Indochinese leopards in Cambodia, Panthera is focusing on increasing its monitoring efforts and expanding its survey areas. 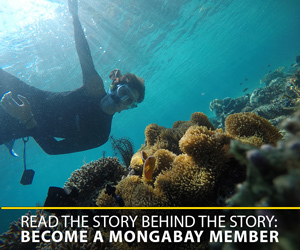 “We are also working with our collaborators, WWF Cambodia, WildCRU, and the Ministry of Environment, to help strengthen environmental laws in eastern Cambodia to develop strictly protected core zones and increase fines from poaching,” Kamler wrote in a blogpost.